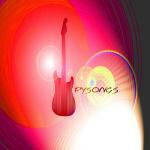 Sign up for Broadjam today to follow PYSONGS, and be notified when they upload new stuff or update their news! The composer has an obvious flair for tight, punchy, vocal arrangements and harmonies. "Lately" is an energetic rocker that makes its entrance by bursting out of the speakers into the room, then maintains its cruising altitude without break for the duration of the song. Smooth vocals, fine guitar work, and a highly crafted arrangement give "Lately" a sound that is easy to like, but never strays into feeling like generic corporate rock. A powerful foot-tapper made for a sunny day drive in a convertible with the top down. Would you like to help PYSONGS get heard by industry pros by buying them a song submission credit to Broadjam Music Licensing Opportunities?